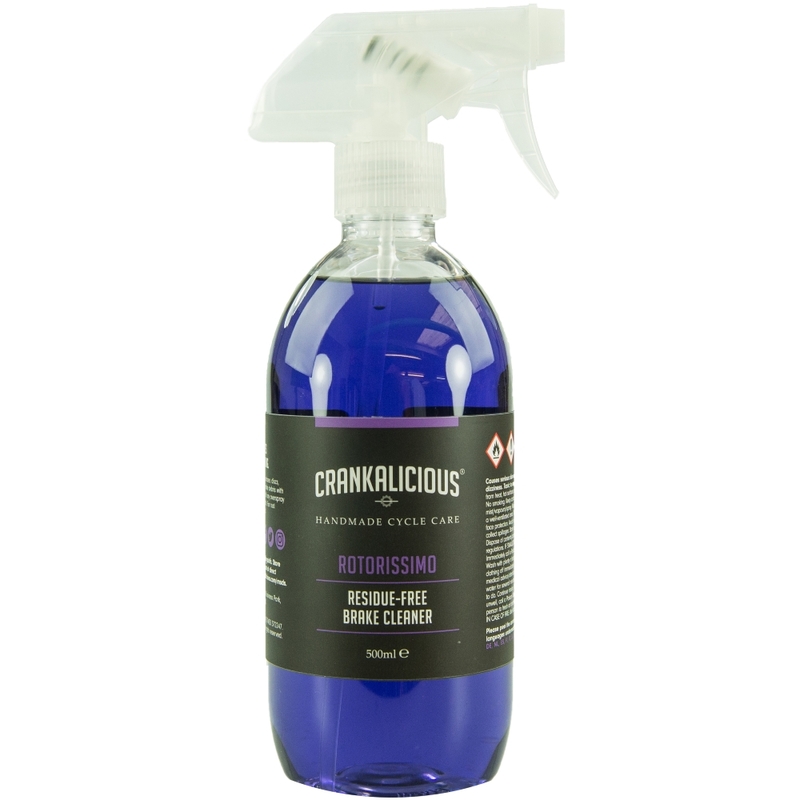 Rotorissimo from Crankalicious is a residue free brake cleaner. Formulated to ensure perfectly clean surfaces to provide the most efficient braking performance. Whether you are riding with rim brakes or disc brakes a dirty braking surface is inefficient and can hamper your braking performance as well as potentially damaging your rims and/or discs. This residue free brake cleaner is perfect for removing any build up, gunk, or grime from all your braking components ensuring your brakes perform at their best and you get peak stopping power when you need it. Rotorissimo is available in a large 500mL spray bottle for at home as well as a great small and portable 100mL spray bottle. For a detailed walk through on cleaning your brakes, take a look at the Disc Brake Cleaning Guide the guys at Crankalicious put together.